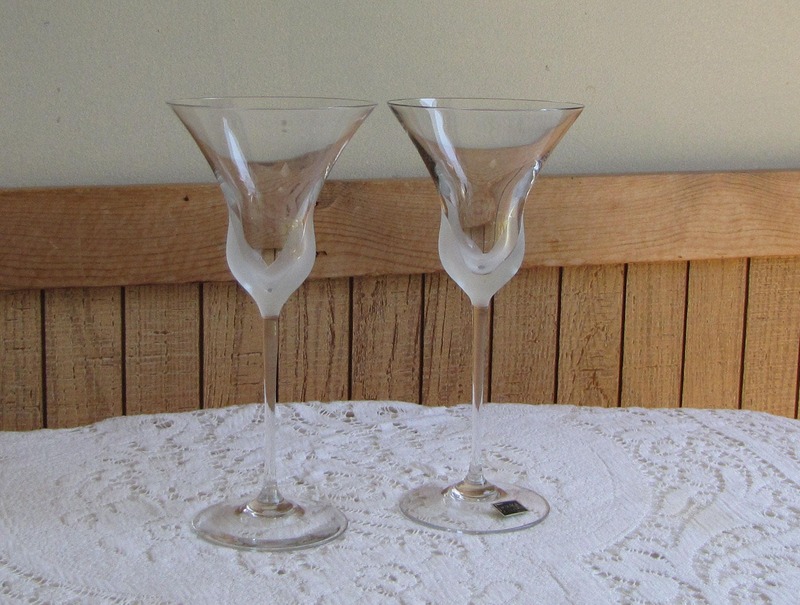 This is a listing for 2 Mikasa Fiore wineglasses that were produced from 1981 to 1987. 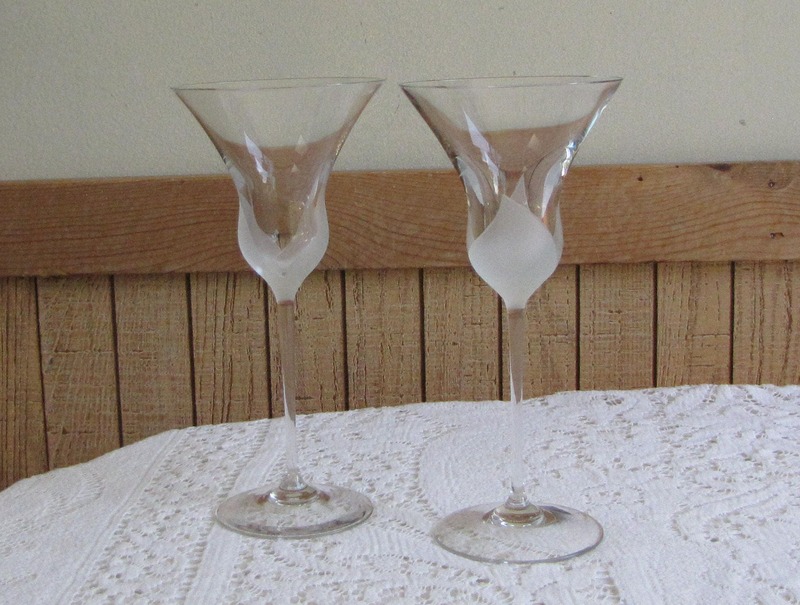 The wine glasses are crystal with a frosted petal or leaf design at its base. 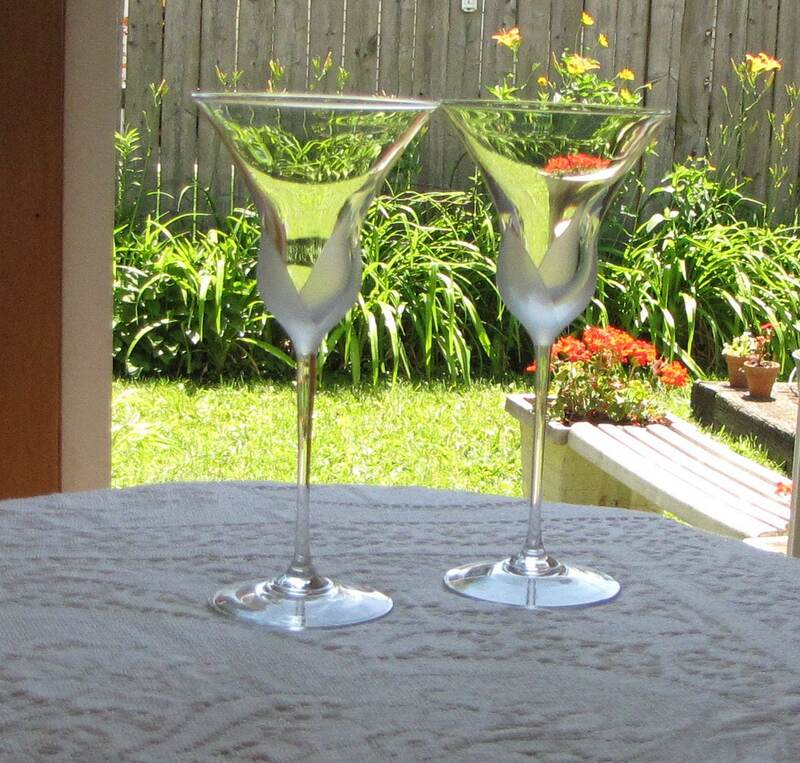 The pair of bar glasses are in very good vintage condition with no chips or cracks; hardly a mark on them. The two glasses had their original store stickers on them. When I washed them; I did lose one of the stickers. 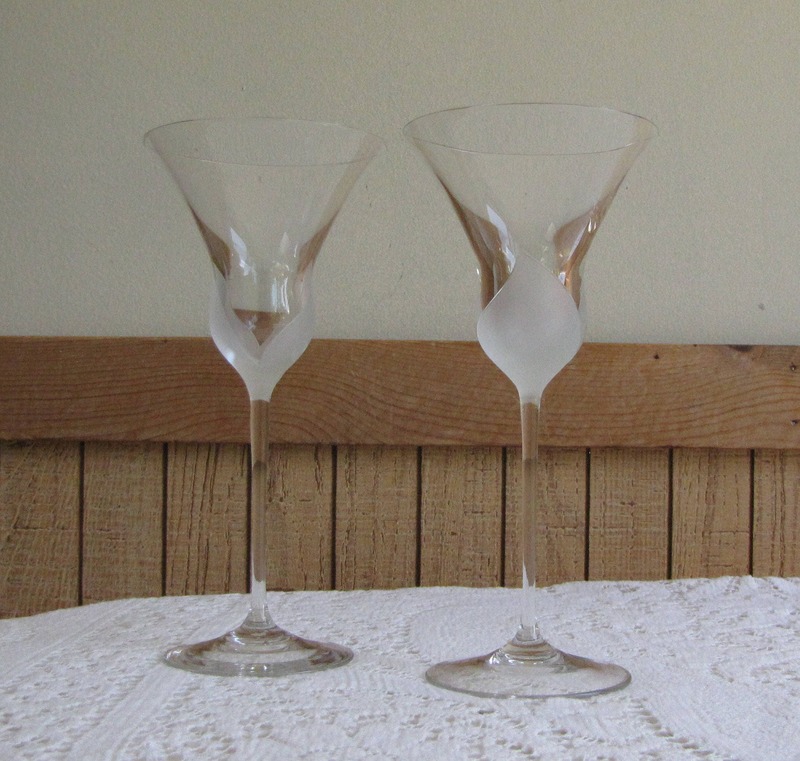 The wine glass pair measure is just over 8 inches tall and 3.75 inches in diameter at their mouth opening. Mikasa was founded in the 1930s based in Secaucus, New Jersey. The company was American with a Japanese style and was named for Prince Mikasa, the youngest brother of Emperor Hirohito. In 1948, the company started to produce dinnerware. The company never manufactured their pieces; outsourcing to a network of over 150 manufacturers worldwide. 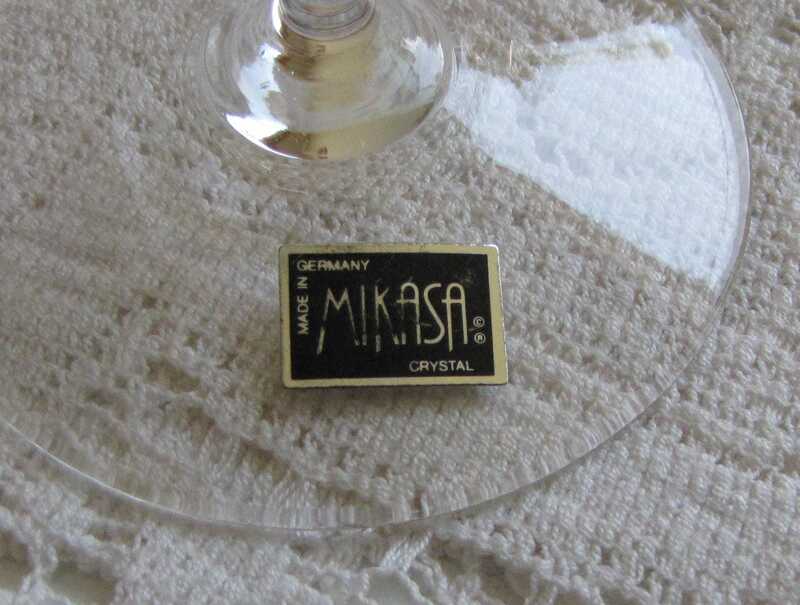 Mikasa branded items were imported from Japan, Ireland, England, France, and Germany. This is why you'll see pieces that are marked "Germany" etc. In 1960s, they introduced new patterns or "lines." Studio Nova was their more casual designs where Home Beautiful was more durable and affordable. Christopher Stuart line's was created in a broad selection of styles. In the 1970s, they opened retail stores throughout the U.S. and expanded into Canada, Europe, South Africa, Australia and New Zealand. In 1980, they added crystal stemware, stainless steel flatware and other household accessories. In 2001, the company merged with J.G. Durand Industries and continues to trade under the name Mikasa.